These studios are on the ground floor of the complex and have a balcony and direct access to the garden. 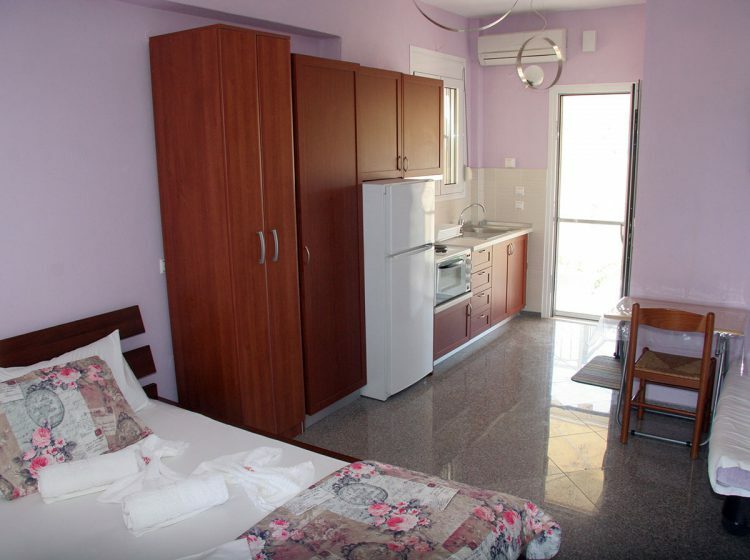 Our Studios of DANIELS Complex in Kallithea Halkidiki, are located on the ground floor of the complex and have a balcony and direct access to the garden. 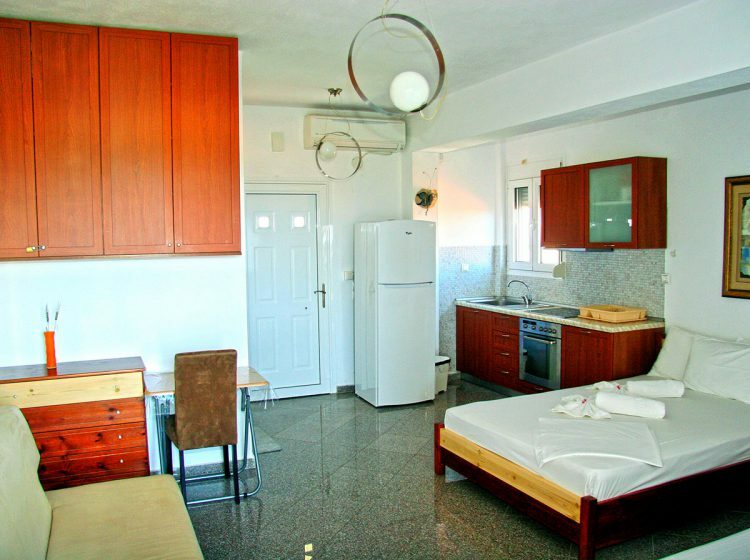 Beautiful studios on 1º floor with A/C, brightness with balcony. 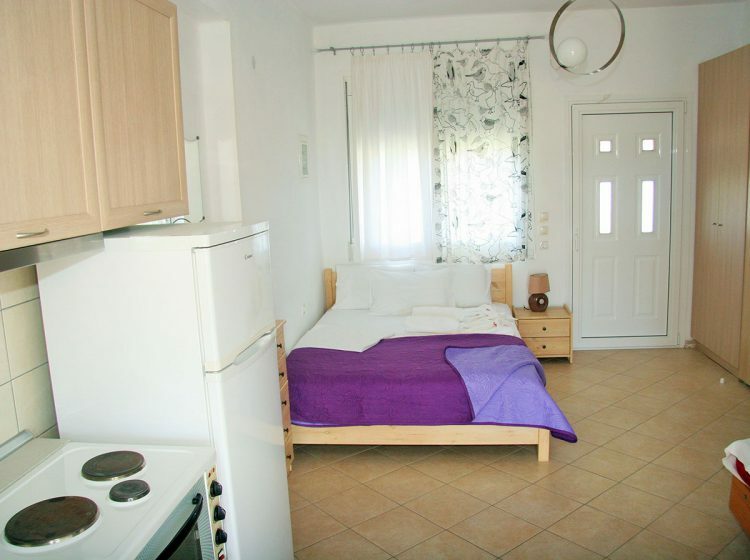 In the room there are a flat-screen TV and fully-furbished kitchen. 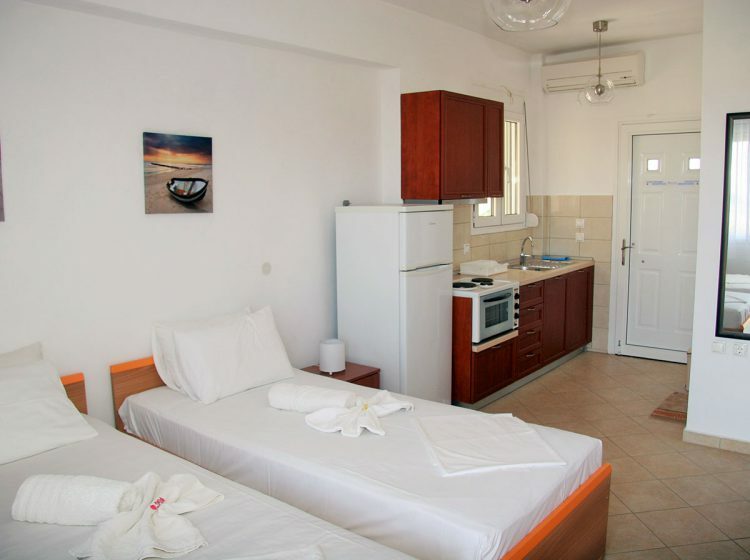 This Family Studio is located on the 1st floor and has 2 balconies, a fully equipped kitchen with all utensils and a unique view.